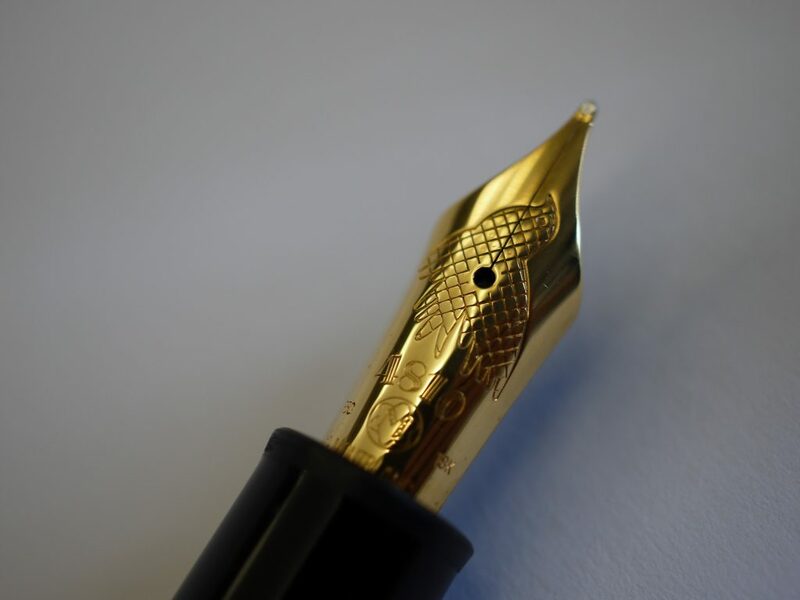 My headliner pen for this week is one with a musical note, literally. 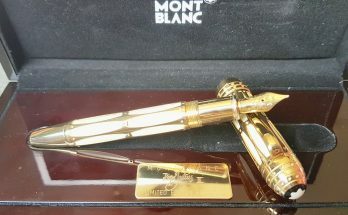 This is the Montblanc Donation Series Leonard Bernstein fountain pen. 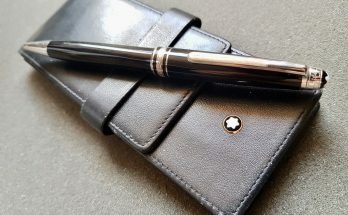 The donation series are pens for which Montblanc reserved a portion of the purchase price to donate to music related charities. 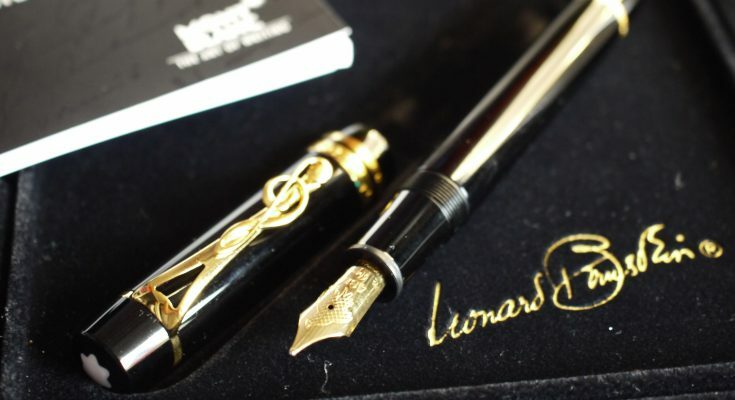 Other examples are the Arturo Toscanini, Johannes Brahms and John Lennon. 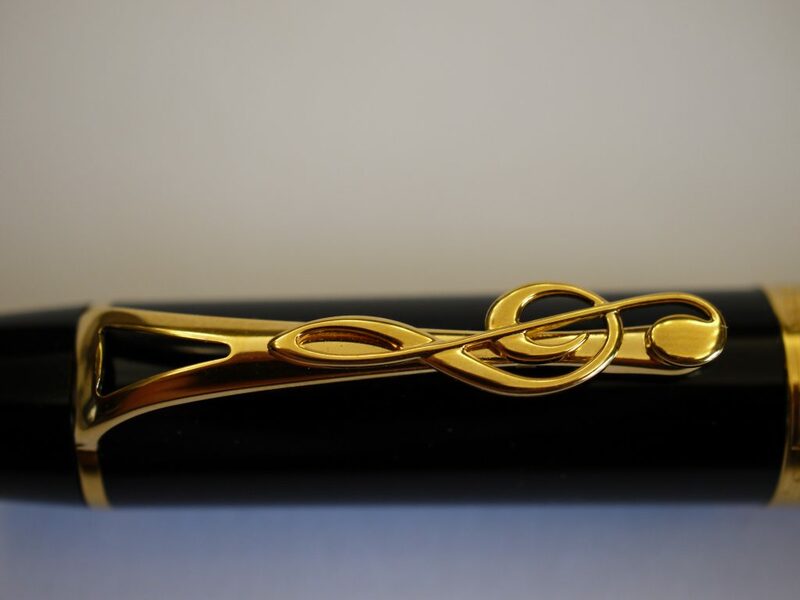 The most prominent design feature on this pen is the musical note shaped clip. 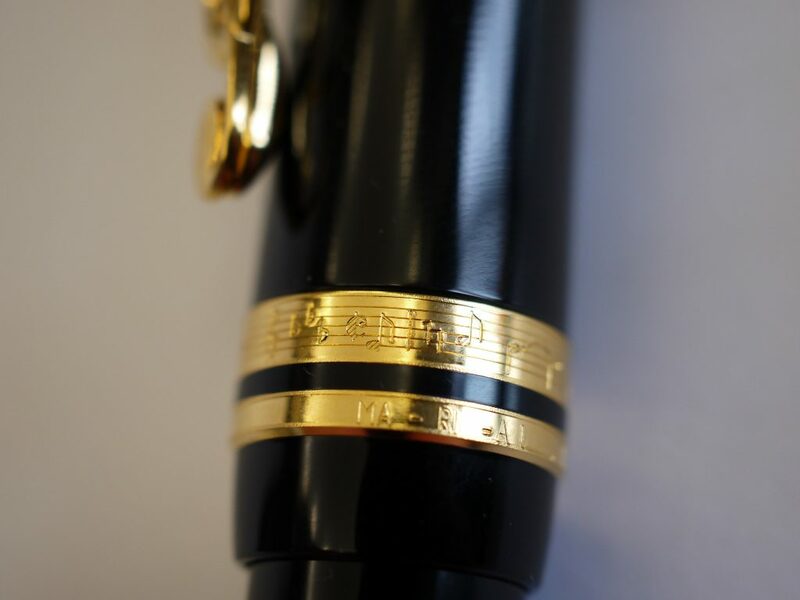 Around the capband is the engraved chorus to Maria from West Side Story. 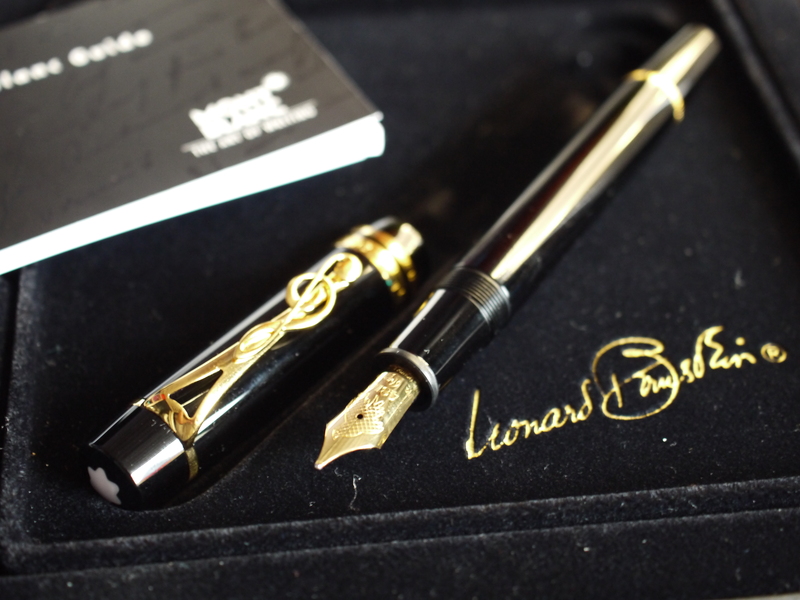 The 18 karat gold nib features an engraved dove. 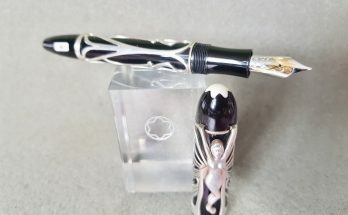 You can find this wonderful pen in it’s original box here, or please check out my other items in this week’s auction.